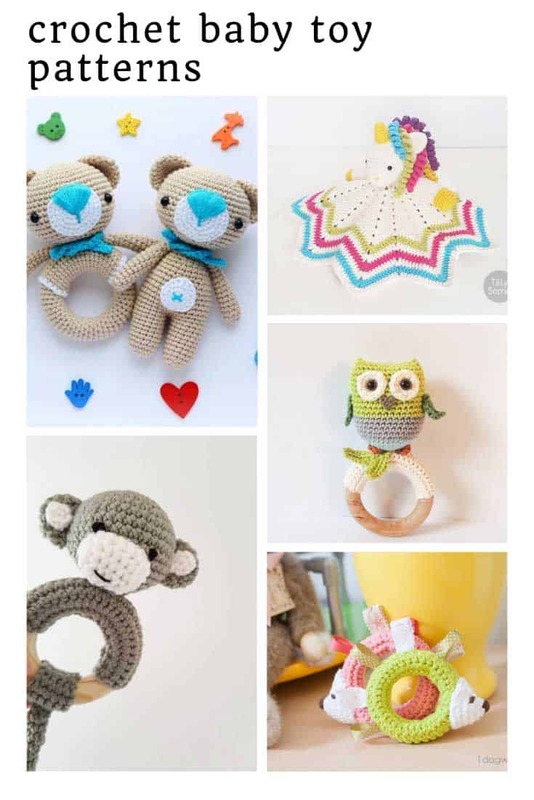 Want to make something handmade for a baby shower gift? 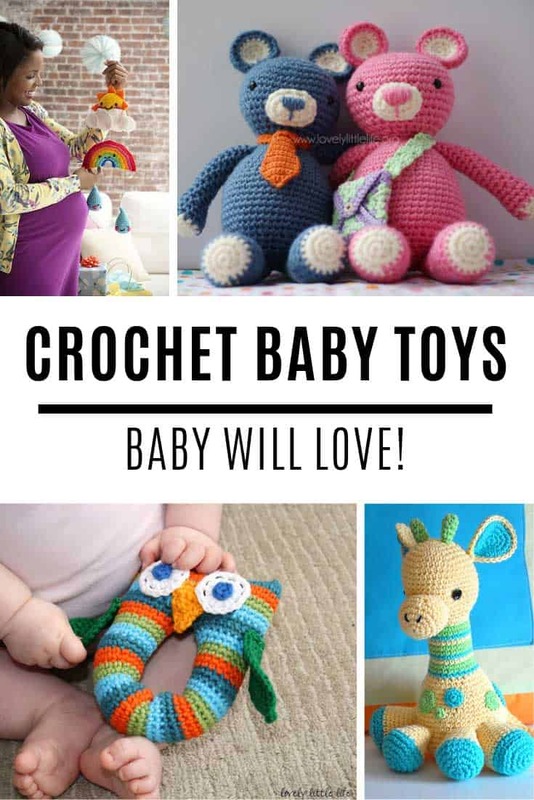 You’re going to love these crochet baby toys – and the new arrival will too! 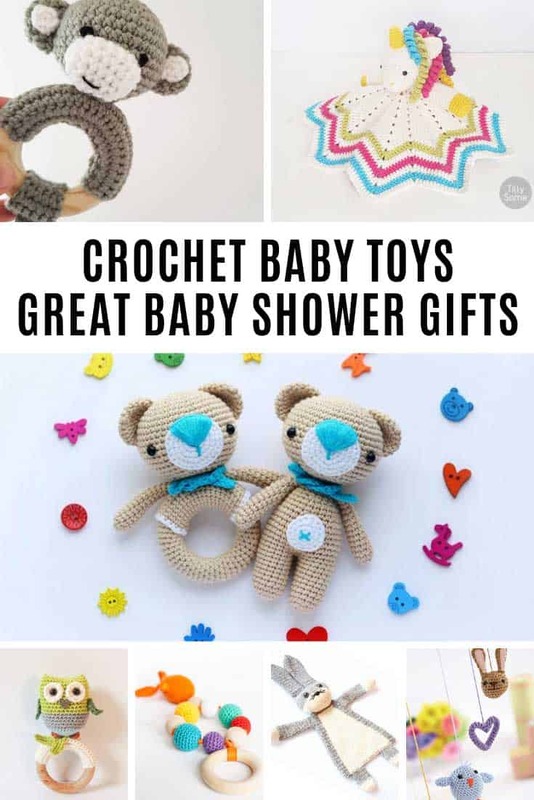 Crochet baby toys are just the most adorable things, so soft and small and just waiting to be explored and loved by teeny hands. 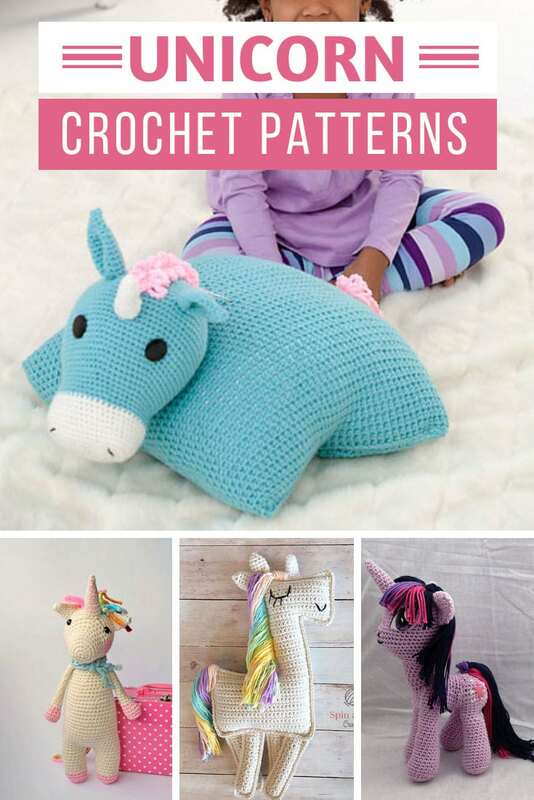 Whether you’re looking for something to make as a baby shower gift, or a project to work on while you’re pregnant we’ve rounded up some of the most delightful baby toy patterns we could find! 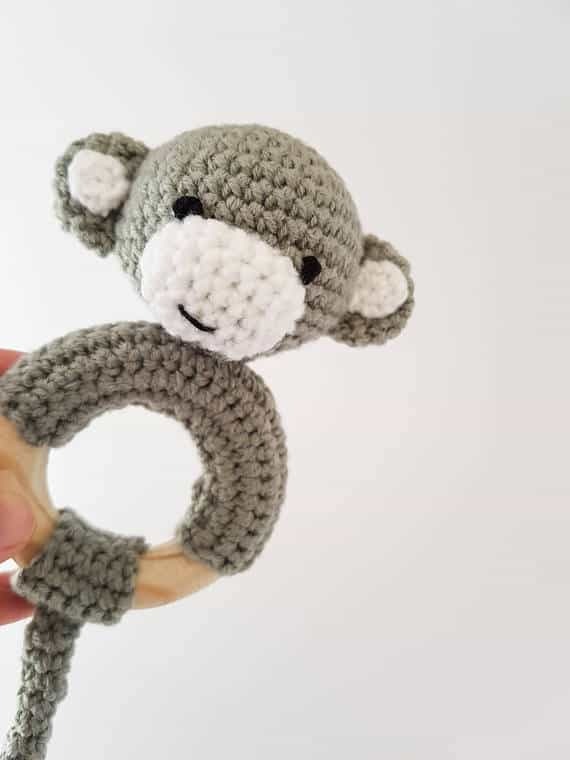 We’ve got everything from teddy bears that are perfect for a beginner and butterfly baby rattles to Amigurumi monkeys and even a goldfish teether! Pregnant? 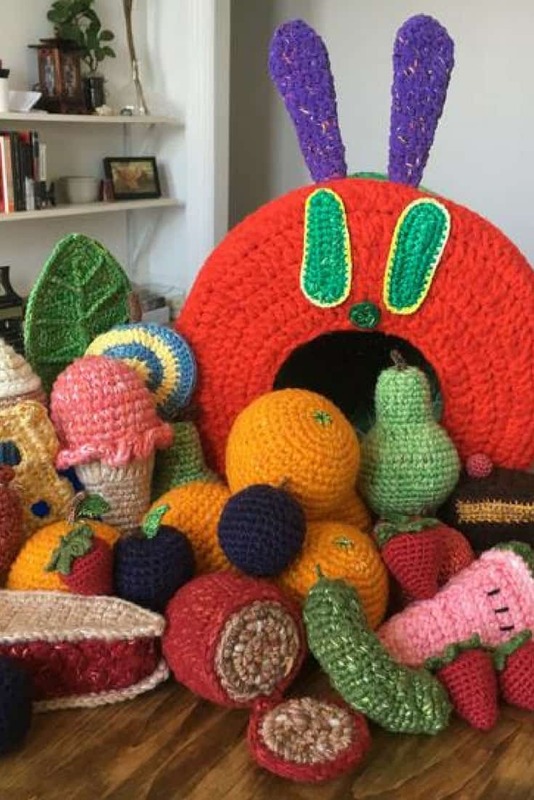 This List of Absolutely Free Baby Stuff Will Save You $$! 26 Build Your Own Food Bar Ideas Perfect for Parties, Showers, and Even Family Movie Nights! 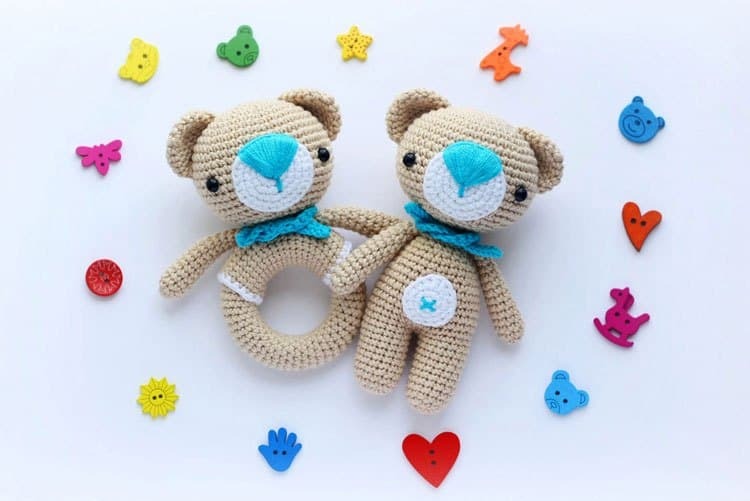 Every new baby needs a teddy bear, and this pattern is simple enough that even a beginner could handle it, making it the perfect project to work on while you’re waiting for baby to arrive. 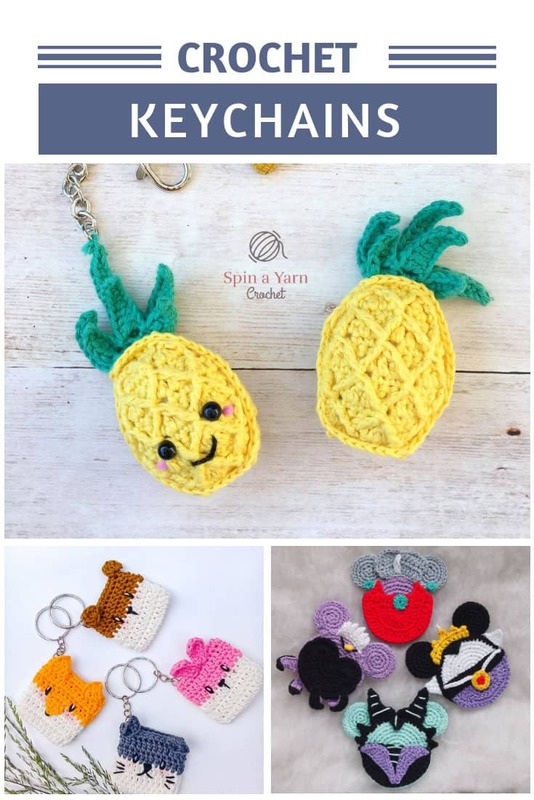 Whether you decide to crochet just one of these baby rattles or a set of three they’re sure to make a delightful gift for the new baby. 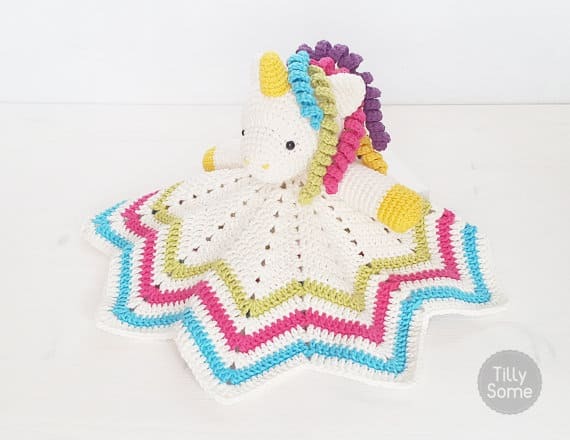 This whimsical unicorn is a security blanket and plush toy all rolled into one, and don’t you just LOVE that fabulous mane! 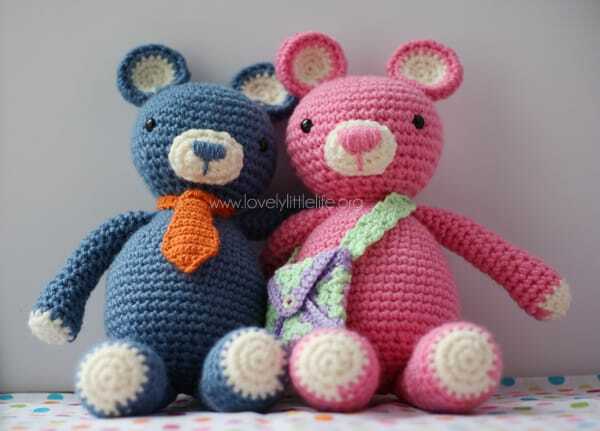 Oh this pair are too adorable for words! 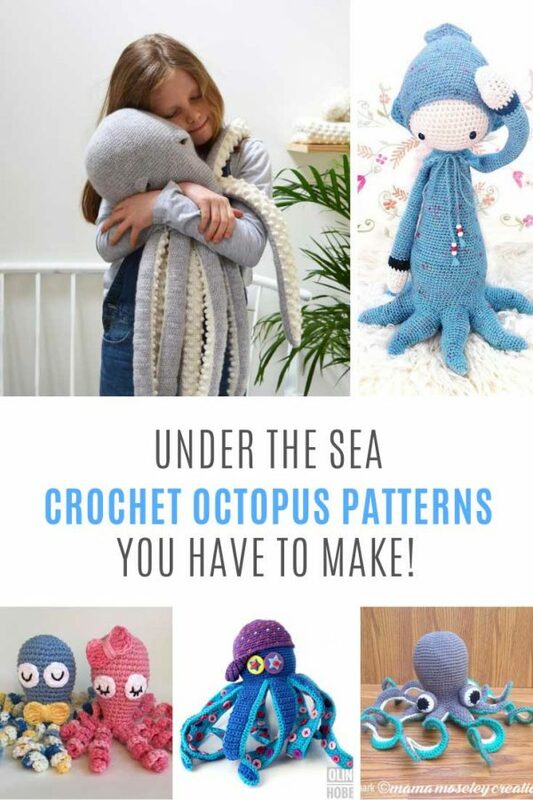 Go pink or blue for tradition, or choose your favourite colour for those cute little noses and neckerchiefs! 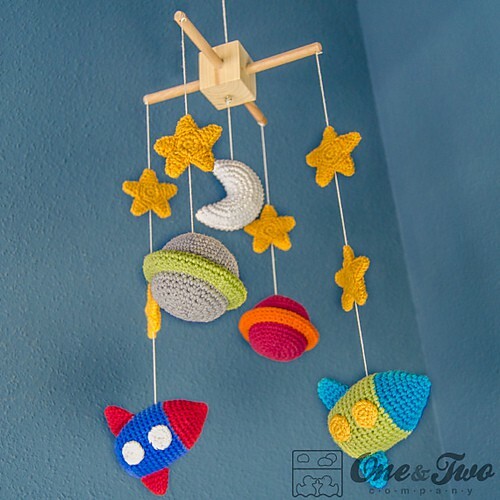 This gorgeous mobile features stars and planets and a cute little rocket. 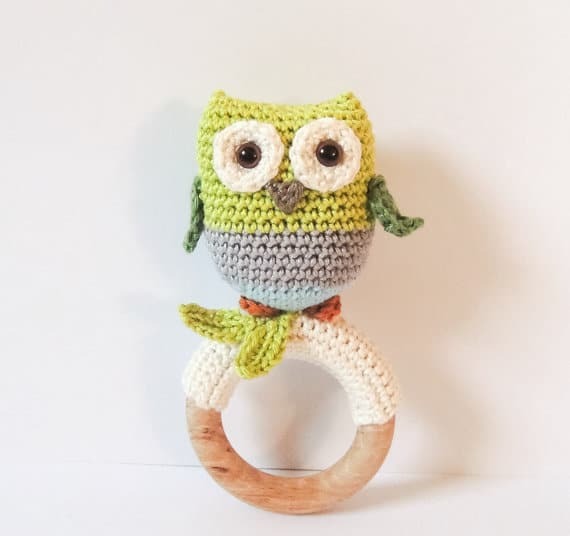 This little owl rattle is perfect for using up yarn scraps, or you can choose a colour scheme to match your nursery decor. 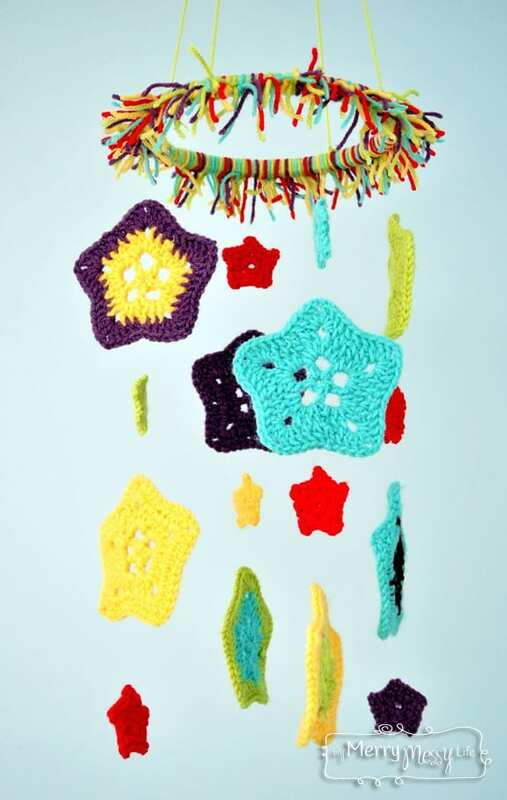 This weather themed crochet mobile will keep baby occupied as it hangs over their crib. If you’re planning an owl themed nursery this little guy needs to find a home in there. 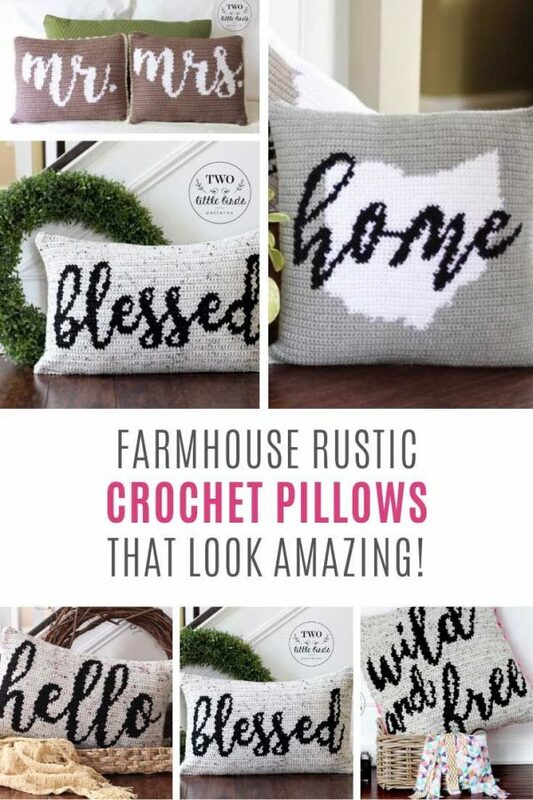 Stash buster alert! 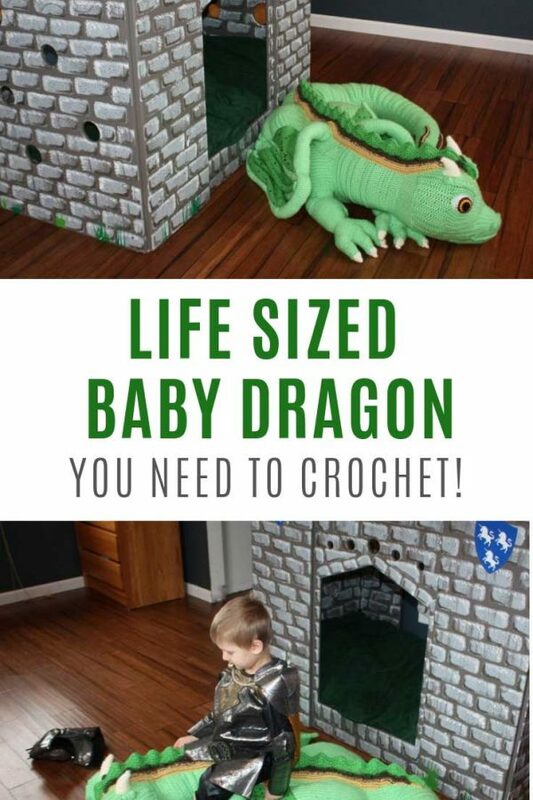 This is the perfect crochet project for using up some of your odds and ends, and results in a gorgeous cot mobile. 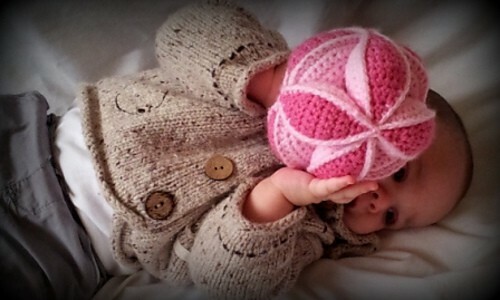 This clever little toy is the crochet version of an Amish puzzle ball. It comes apart into three rings that have to be put back together again to form the ball! 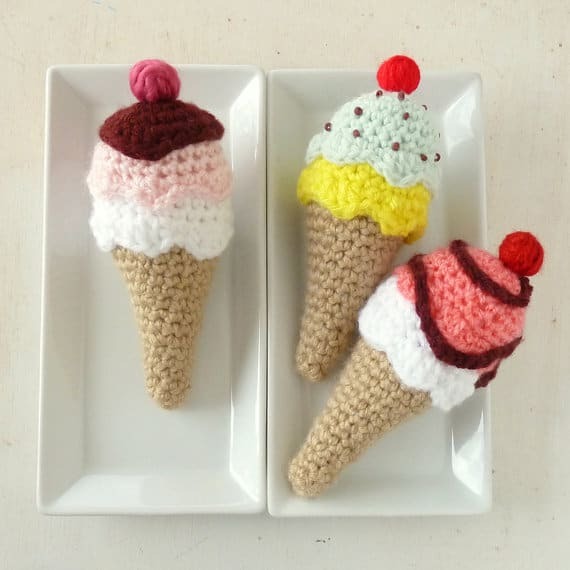 Is it wrong to foster a love of ice cream in one so young? We don’t think so! 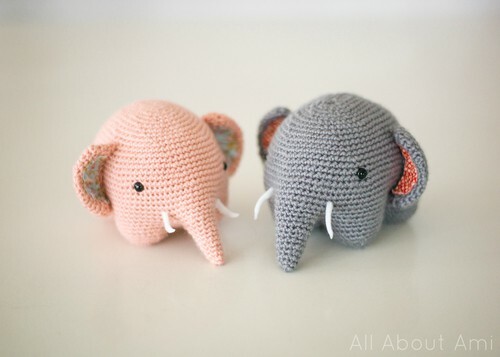 If you’re planning an elephant themed nursery you’re going to want to crochet a whole herd of these adorable little guys! 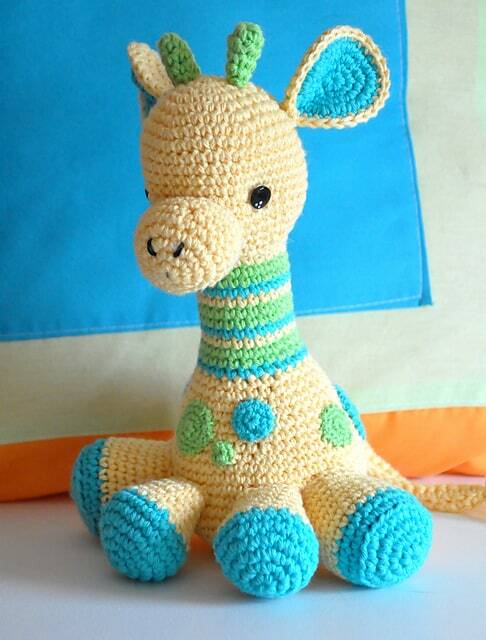 Super cute giraffe alert! 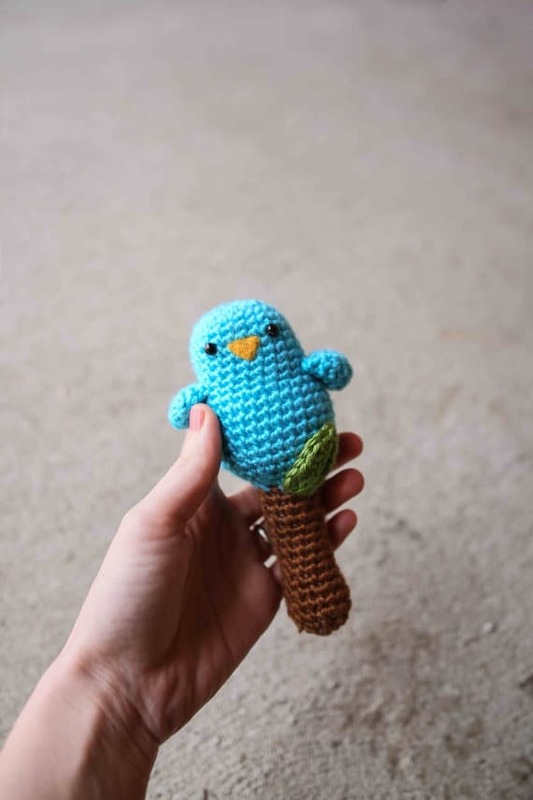 Heck go ahead and crochet two because this little guy would look great on your desk! 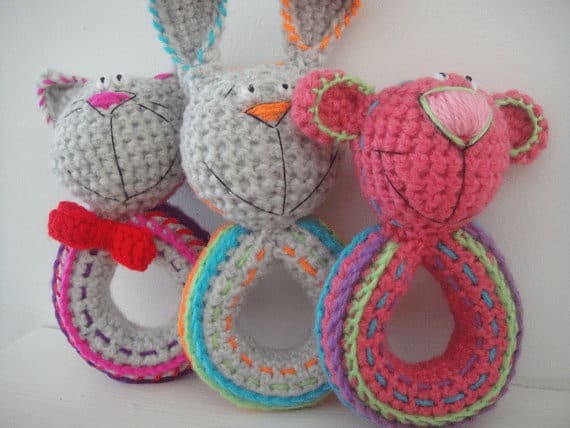 There are three different animals to crochet with this pattern, a cat, a rabbit or a teddy bear. 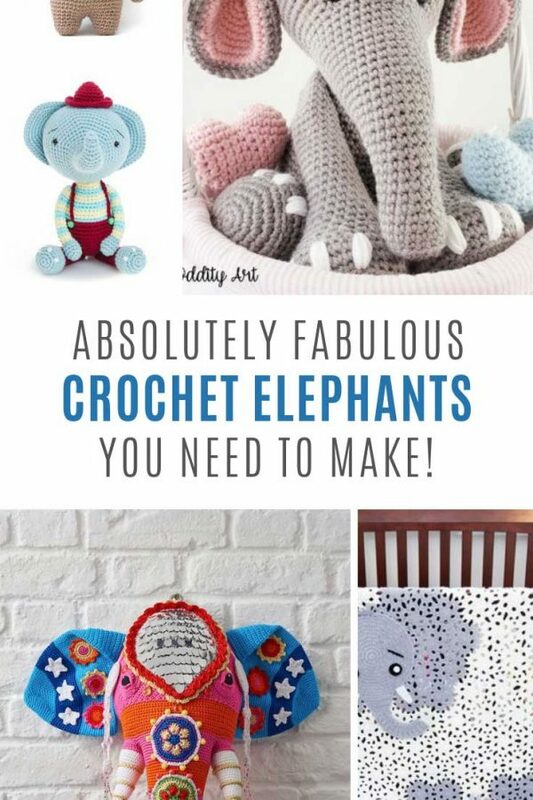 Why not make all three because a baby can never have too many rattles! 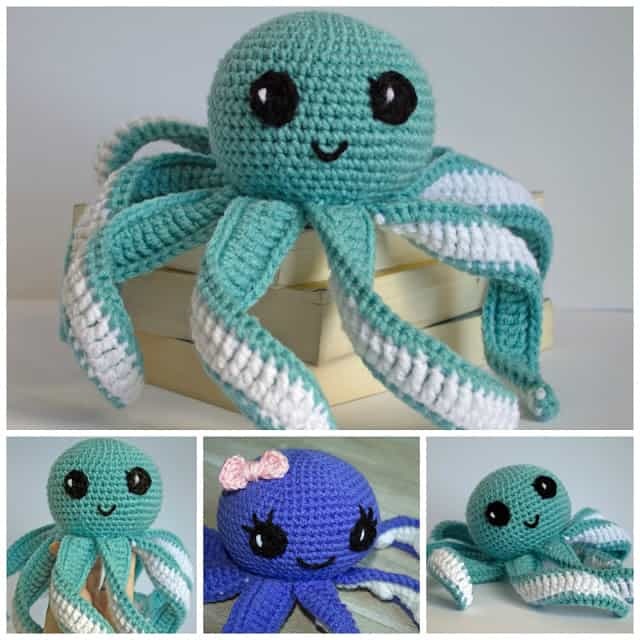 So many legs for a little one to explore and cuddle, this octopus is sure to be a hit! 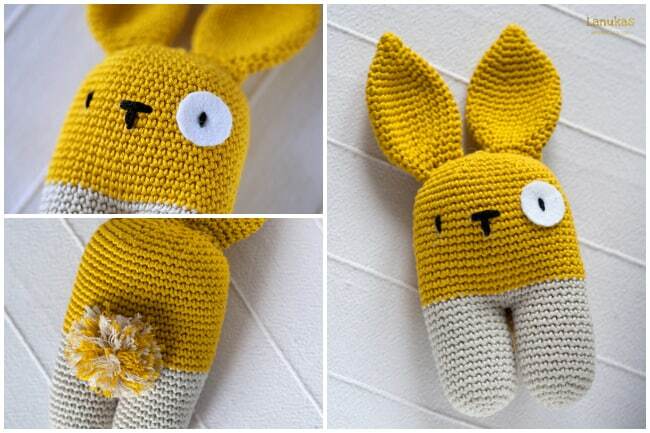 Oh so cute and you can make this little bunny rattle in any colour you choose! 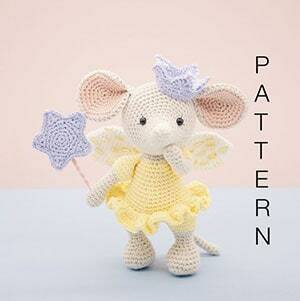 The pattern is in Spanish so best to view it in Chrome and hit the handy translate button at the top of the page. Oh isn’t he just totally cheeky! 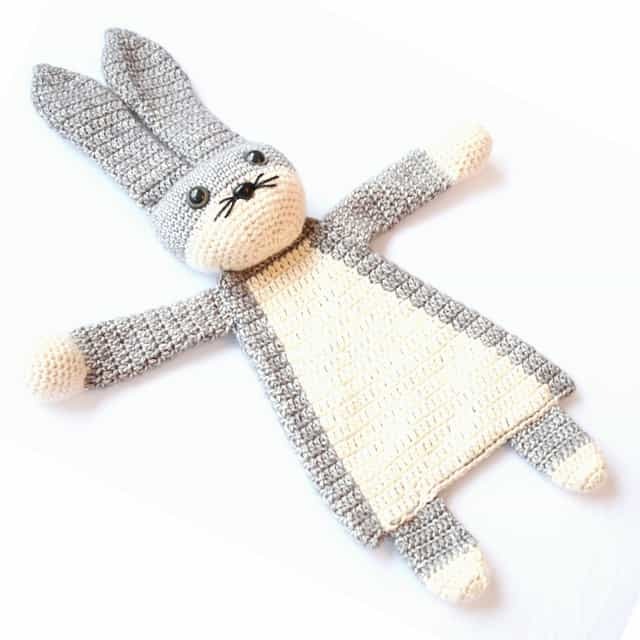 Adorable bunny lovey alert! This little guy is totally cute, and if you added some plastic snap fasteners to one of the arms it would also be a great pacifier saver. 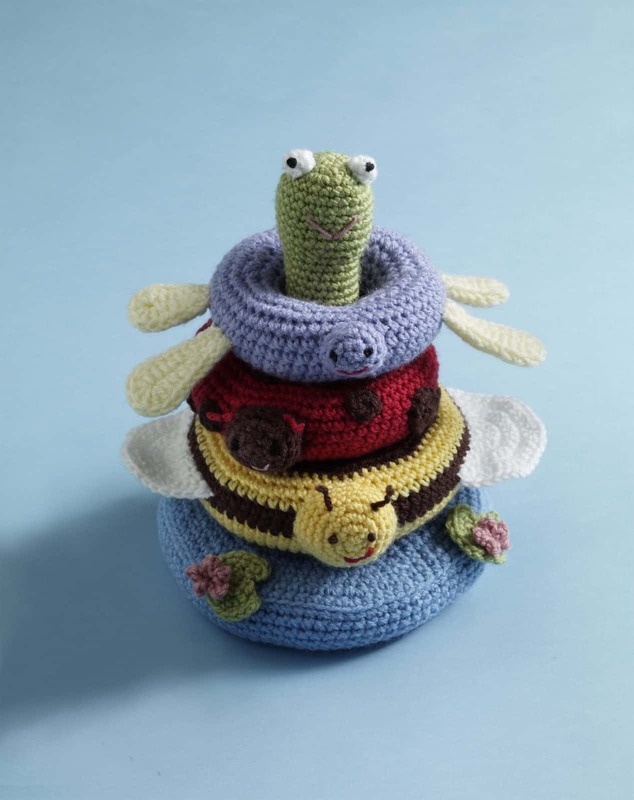 Babies love stacking rings, and they help with their development too. 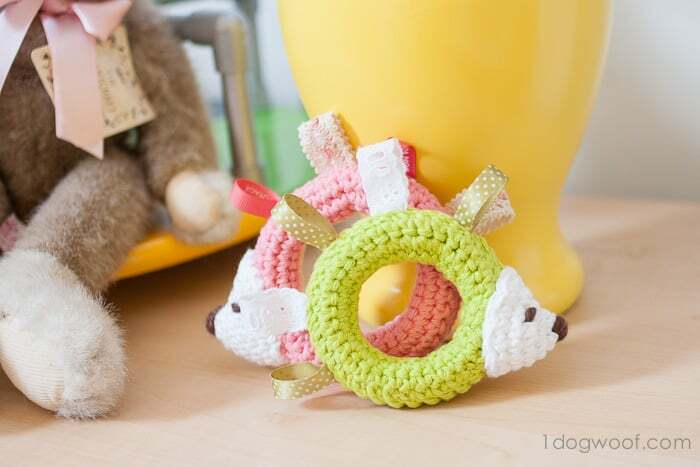 We love how this crochet toy features four different creatures. 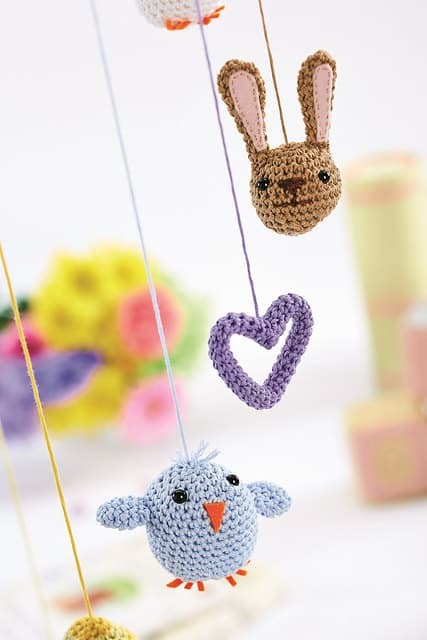 The cuteness of Amigurumi screams baby, and this cot mobile would be a fabulous baby shower gift. 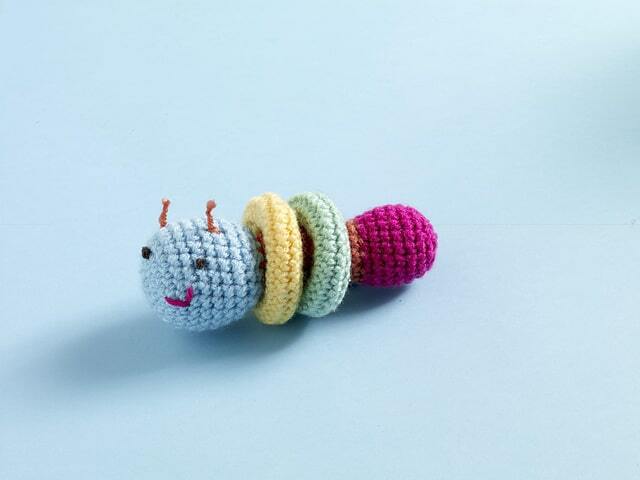 The soft rings add interest to this caterpillar shaped rattle. 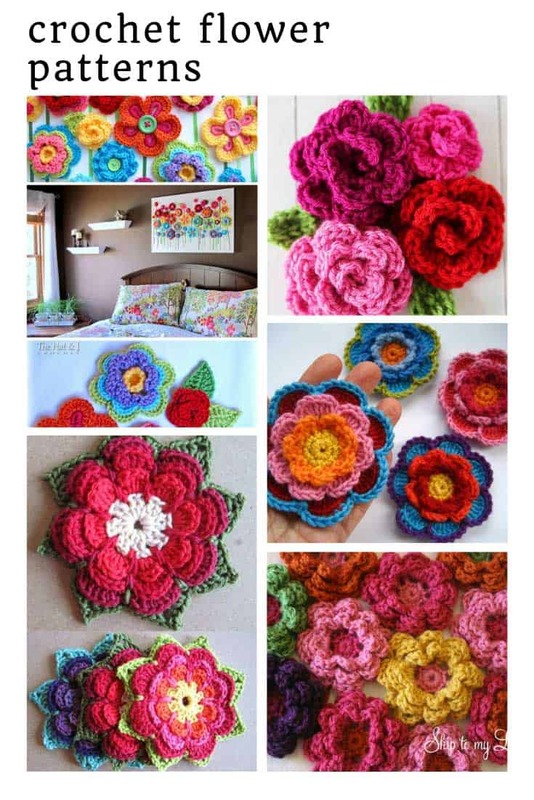 Use your yarn scraps to make the different colours. 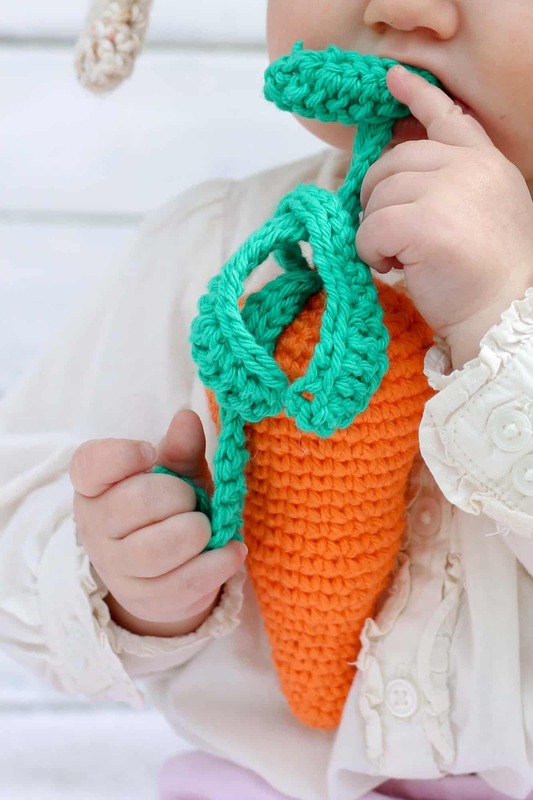 When you think baby rattle it’s not often you’d think carrot, but now we’ve seen one we think it’s a fabulous idea! Such a cute little bird sitting in a tree just waiting to be rattled! 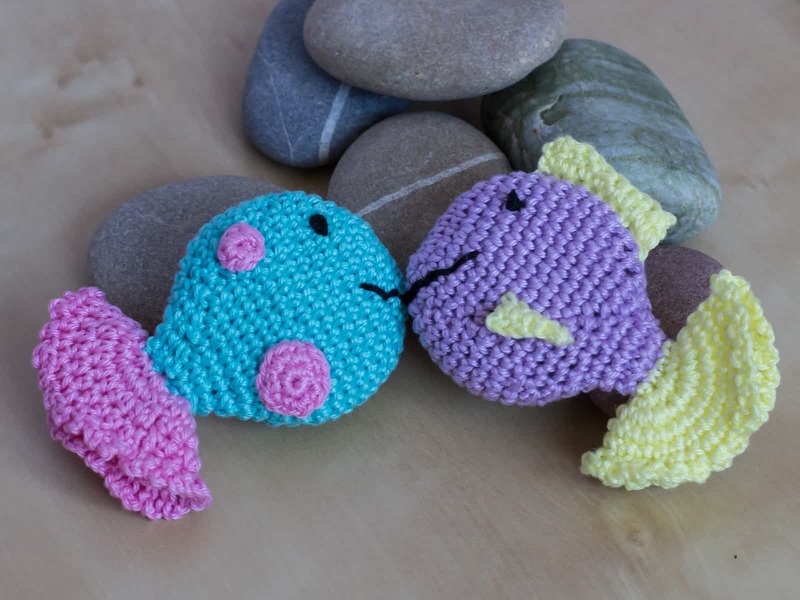 This crochet baby toy is an adorable little fish and the squeaker adds interest as baby tries to figure out where the noise is coming from. 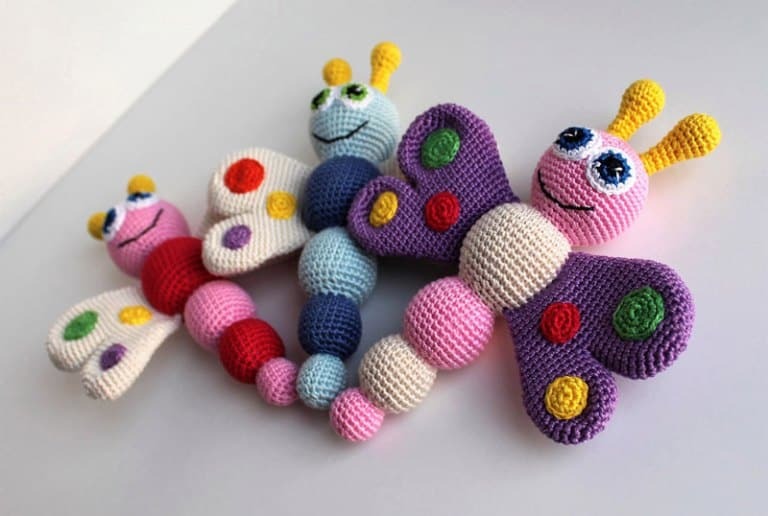 Taggie toys encourage tactile play and sensory interaction. Try adding a clip so that it can attach to a stroller or car seat. Did you know that the monkey represents the celebration of a new journey and a new purpose? 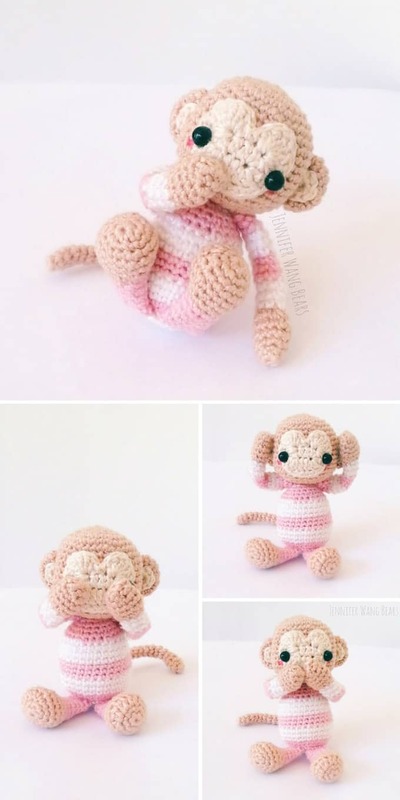 So this little Amigurumi monkey is the perfect baby shower gift! 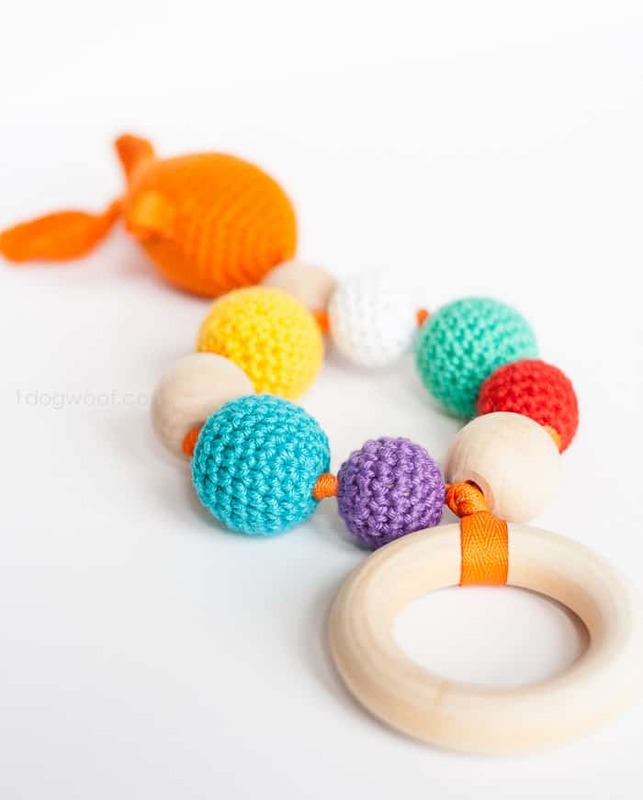 This goldfish teether is adorable and the goldfish is also a rattle because a new baby can never have too many of those!